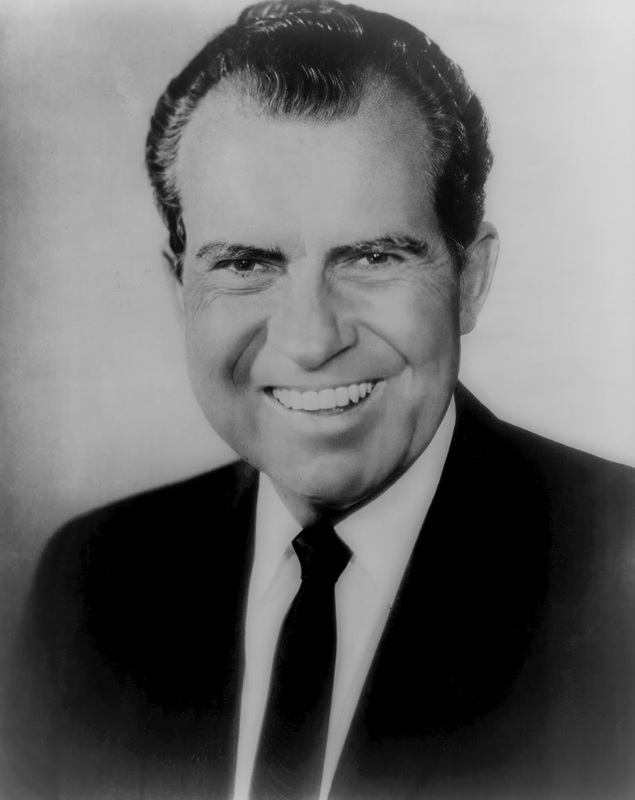 Buoyed by the tremendous success of his detente policy with China and Russia, President Nixon ran for reelection in 1972 against Democratic Senator George McGovern. Despite the great progress in forging new relationships with China and Russia, Nixon had failed to deliver on his 1968 promise to end the war in Vietnam. In fact, President Nixon had continued to widen the war effort in sending American troops into neighboring Cambodia and Laos. The sharp divide over the war between Hawks and Doves was quickly becoming more news worthy than the progress made in Vietnam. In 1970 protesters at Kent State and Jackson State clashed violently with police and National Guardsmen. The Nixon administration had promised to end the war but had instead brought the war back home to college campuses. This generational divide was articulated by Senator McGovern who sought support by pledging to be the president who would finally bring the Vietnam War to an end. Create a T-Chart and track the "Mood" of both campaign ads. Create a T-Chart and track the "Tone" of both campaign ads. Summarize the message of each campaign ad. What was the most effective image/argument/phrase/word from each campaign ad? Use your above responses and the electoral college map below to answer the following prompts. What geographic or regional patterns of electoral votes do you notice? 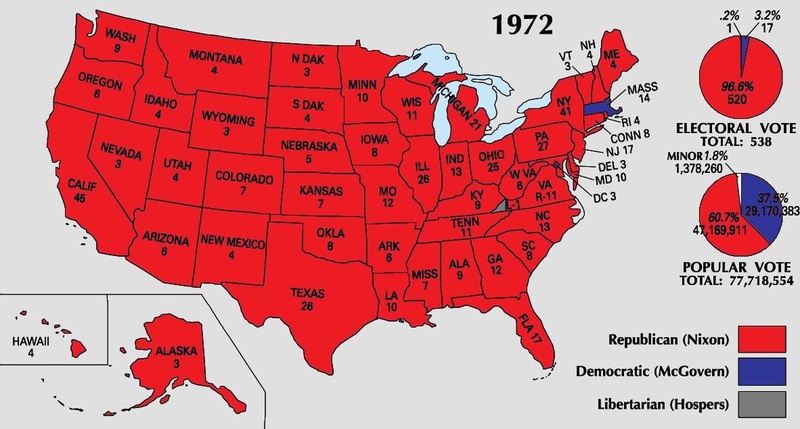 What convincing aspects (or unconvincing aspects for the "also-ran") of the winner's ad could help explain their victory (and margin of victory) in that year's Electoral College? After completing your investigation and responses to the prompts about the 1972 presidential campaign, you will now examine two primary source documents from this era of Presidential Cold War era. Write a brief paragraph prediction as to the successes and/or failures of the president's actions or policies in this Cold War period. Linked below is the official Office of the Historian summary of President Nixon's foreign policy. You may choose to find your own secondary source(s) in addition to this source. Review the document and answer the prompts that follow citing at least two pieces of evidence from a primary source. What foreign policy campaign promise(s) did President Nixon make in 1972? Did the primary sources or secondary sources provide evidence of keeping or breaking the promise(s)? Explain. How did the secondary source explain the success/failure of those policies? As a final assessment of your investigations, choose one of the options below to complete and submit to the website as a comment or email (sean@juniorhistorians.com). Your project must contain at least four cited pieces of evidence from the sources provided. Create a rebuttal campaign ad for the "also-ran" that points out the failures or inaction of the winning president's foreign policy. Create a foreign policy briefing for the president that takes a historical event from one of the primary sources and argues for a different course of action. Be sure to explain the situation and justify your proposed changes. Create a Wordle analysis by pasting the text of each document (two separate Wordles) into Wordle.net/create. Then write a paragraph analysis of the word trends and usage that you observe for each text. Find another primary source document related to the president's Cold War foreign policy and submit a video of you completing a close read of that document. Create a multimedia presentation that compares and contrasts two additional campaign ad issues. Additional campaign ads can be found at livingroomcandidate.org. Take a stance and write your own biased secondary source historical review of the president's foreign policy accomplishments.